Lorenz Potthast, young german artist interested mostly in the relations between digital and analog presents unique project of the Decelerator helmet within the ArtistTalk Symposium at 6th International art - sci - tech biennale Enter 6: Biopolis in Prague, Czech Republic. 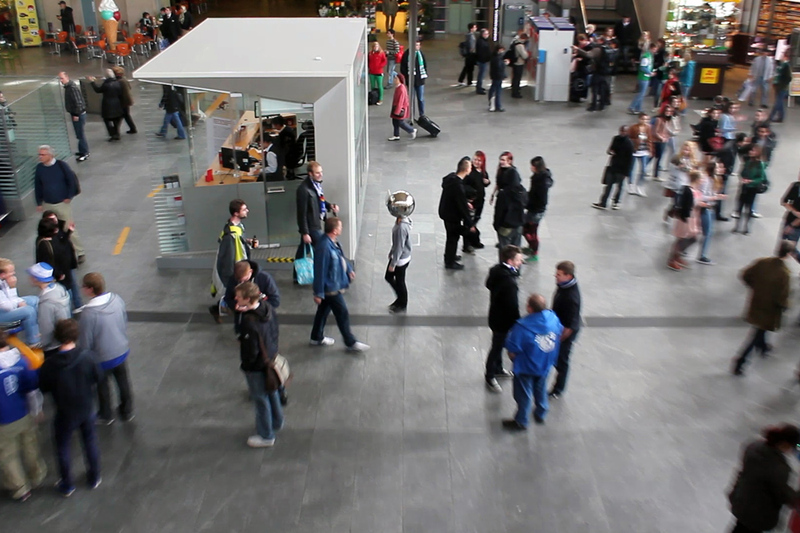 Lorenz Potthast, student of the University of the Arts in Bremen briefly explains the way that lead him to the idea of the project he is exhibiting at he festival Enter 6: Biopolis – The Decelerator Helmet. 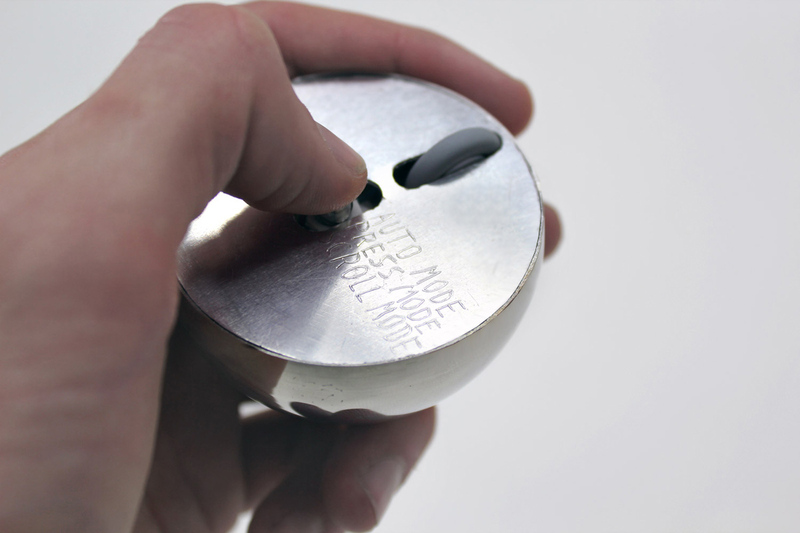 He visualizes the development of the project, give some technical insights and show some reactions. Finally he shares some thoughts about speculative implications he extracted from the work and research on how an increasing influence of technology on our perception could change our view of the world and our global convention of reality. 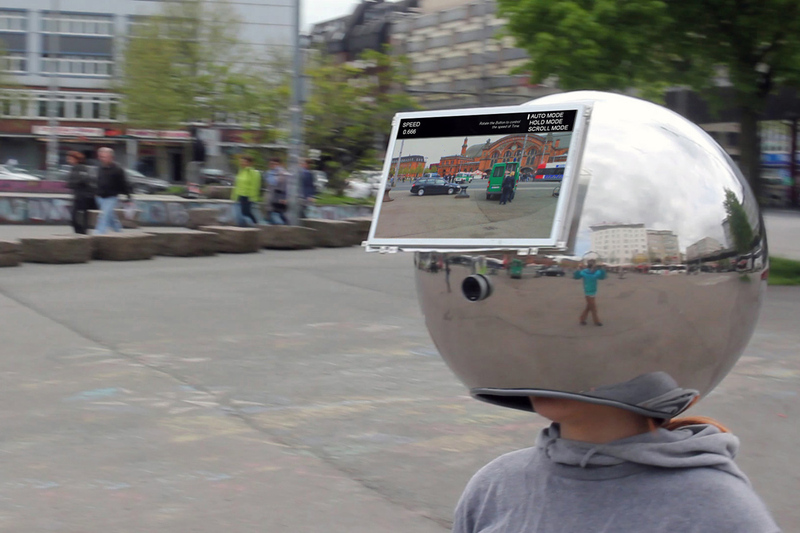 Decelerator Helmet is an artistic project that offers an experimental approach to an essential subject of our globalized world. The technical reproducible senses are consigned to an apparatus which allows the user a perception of the world in slow motion. The float of time as apparently invariant constant is broken and subjected under the user’s control. 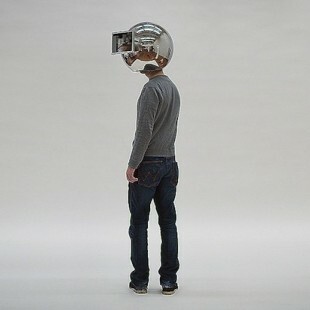 The idea to decouple the personal perception from the natural timing enables the user to become aware of his own time. In the auto-mode time is slowed down automatically and re-accelerated after a defined interval. The press-mode allows the specific deceleration of time and in the scroll-mode the user can completely control the speed of the elapsing of time. The idea to decouple the personal perception from the natural timing enables the user to become aware of his own relationship to time. 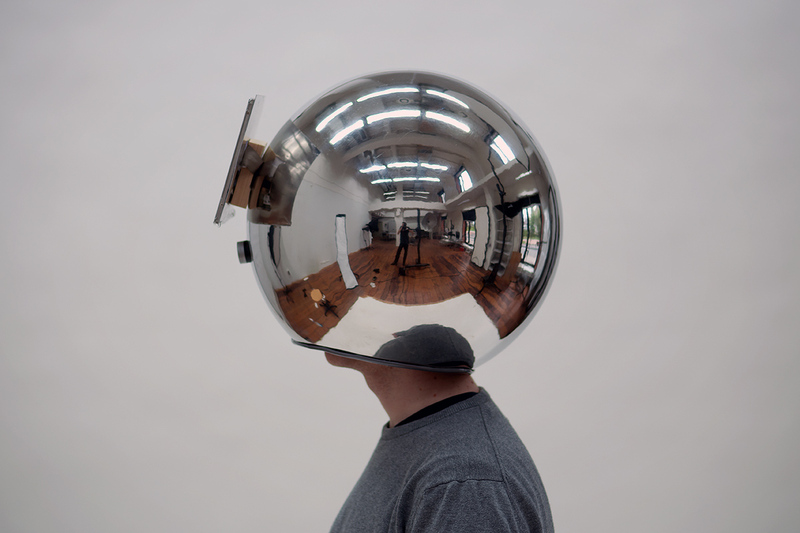 The helmet works as a reflection-bubble to think about the flow of time in general and the relation between sensory perception, environment and corporality in particular. The technique of the Decelerator extends the awareness of time and transforms the concept of present in a constructed, artificial state. 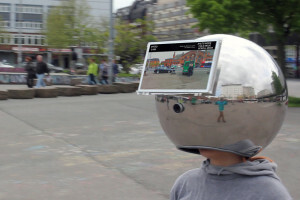 On a different level the helmet dramatically visualizes how slowing down under all circumstances causes a loss of actuality and as idea is inconsistent with its environment. It raises the general question how technology will shape our senses in the future, how this shift to a personalized perception could change our view of the world and eventually will lead to an detachment of our global convention of reality.